Friday night is is Italian night in our house. After a long week of work I never feel like cooking a big meal and both my husband and I enjoy pizza or pasta on a Friday night. It’s easy to make, it’s warm and comforting, and it’s absolutely delicious. While there are days when I make my own pasta sauce, Friday night isn’t one of them. For Friday nights I like to grab a jar of Ragu spaghetti sauce and get creating in the kitchen. Just because I’m looking for fast doesn’t mean it can’t be creative! 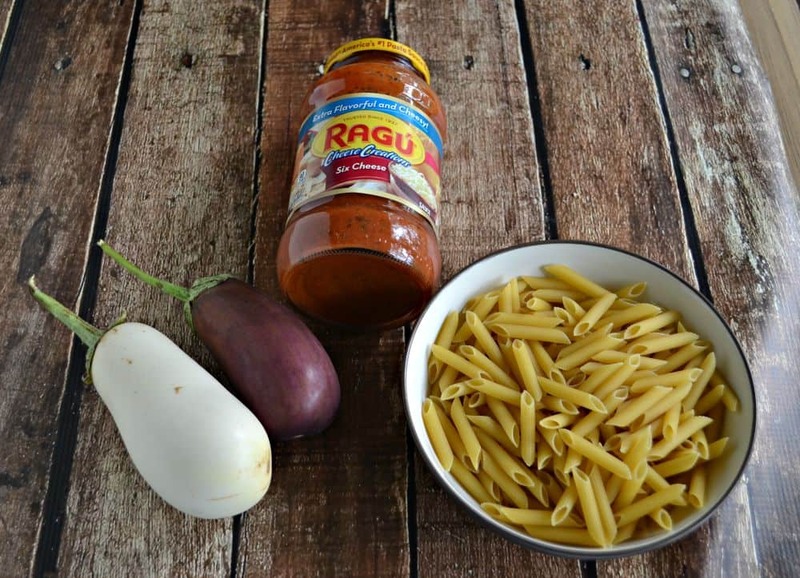 Did you know that Ragu was founded by a woman named Assunta Cantisano? She came to America from Italy in 1914 and planted a garden in her own backyard. Years later she used the vegetables in her garden to make and sell her homemade sauce on her front porch! While I’m not making and selling my own sauces, I love using the vegetables and herbs from my garden in my recipes. It makes me feel accomplished to know that we are eating the fruits of my labor. To learn more about Assunta Cantisano visit the Ragu website. That brings me back to Italian night at my house. I usually search the refrigerator for ingredients to use in our weekly pasta dish. This week I found eggplant from our CSA. 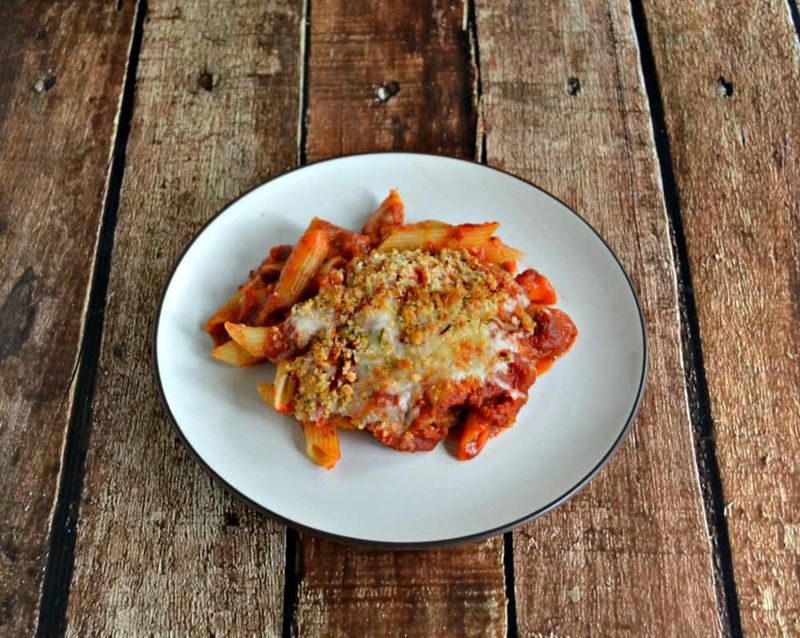 Now I often make eggplant parmesan for dinner but that’s a lot of work for a Friday night so I thought I’d make a twist on eggplant parmesan and make it with a baked ziti. 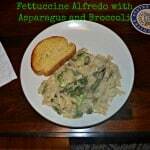 I grabbed a few herbs from my herb garden to put into the dish as well. I started by sauteing the eggplant in a skillet with olive oil. I added in some breadcrumbs and cooked it until the breadcrumbs started sticking to the eggplant. Then I started layering the ingredients in a pan. I layered the Ragu sauce, ziti, eggplant, and cheese multiple times and then ended with a layer of cheese and a delicious breadcrumb topping. It was everything I love about eggplant parmesan without all of the frying of the eggplant. As it baked in the oven our house smelled of tomatoes, herbs, and cheese. I couldn’t wait to take it out and enjoy it. This is a great weeknight meal because it only requires 20 minutes of hands on time and the rest of the time is simply cooking in the oven. 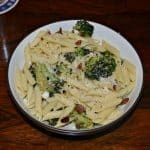 My husband and I each enjoyed a large portion along with some crusty bread and there was enough leftover for lunch the next day too! 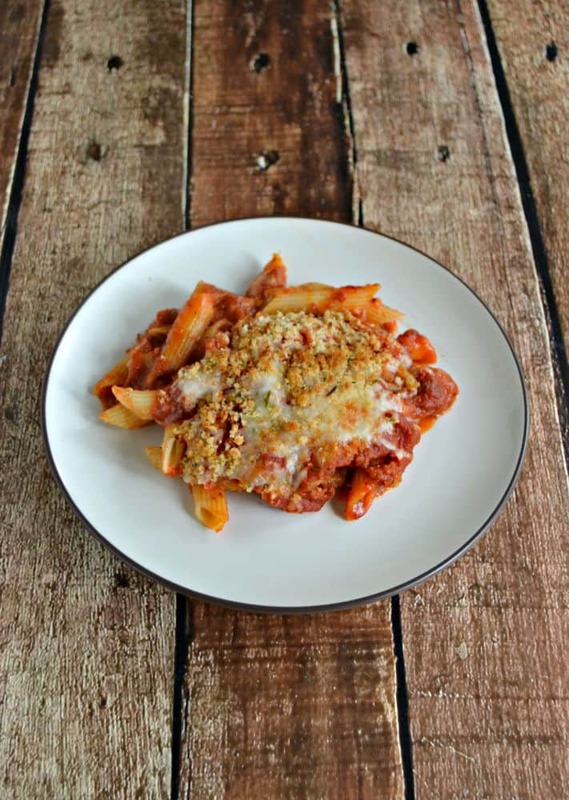 Make Eggplant Parmesan without all the fuss in this tasted baked ziti recipe! Preheat the oven to 375 degrees. Spray a 9 x 13 baking dish. Cook the ziti according to the package directions. Drain and keep warm. Put half the olive oil in a large skillet over medium heat. Add the eggplant, salt, and pepper and saute for 7-8 minutes or until the eggplant has softened. Add the remaining olive oil, the breadcrumbs, and the herbs to the pan and saute for 3-4 minutes. The breadcrumbs will begin sticking to the eggplant. Pour 1 cup of Ragu on the bottom of the 9 x 13 pan. Layer half the ziti, half the eggplant, then the mozzarella cheese. Layer the remaining pasta and eggplant. 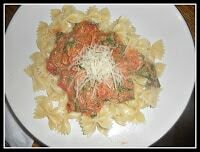 Sprinkle the cheese topping all over the top of the pasta dish. Heat the butter in the large skillet you used for the eggplant. Add the breadcrumbs and saute 2-3 minutes. Sprinkle on top of the cheese layer of the ziti. 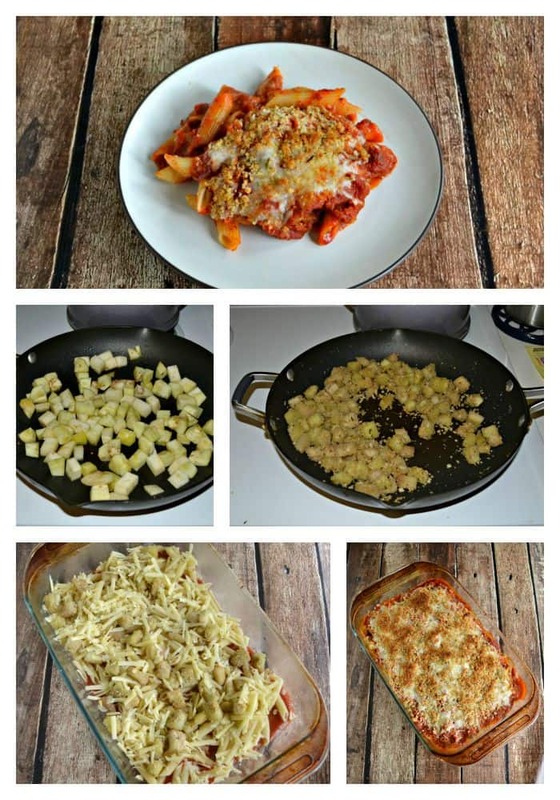 Cover the pasta with foil and bake 20 minutes. Remove the foil and continue baking for 10 minutes. 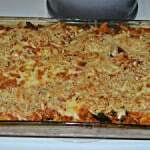 Turn the broiler on high and broil for 2 minutes or until the breadcrumbs darken and the cheese starts to brown. 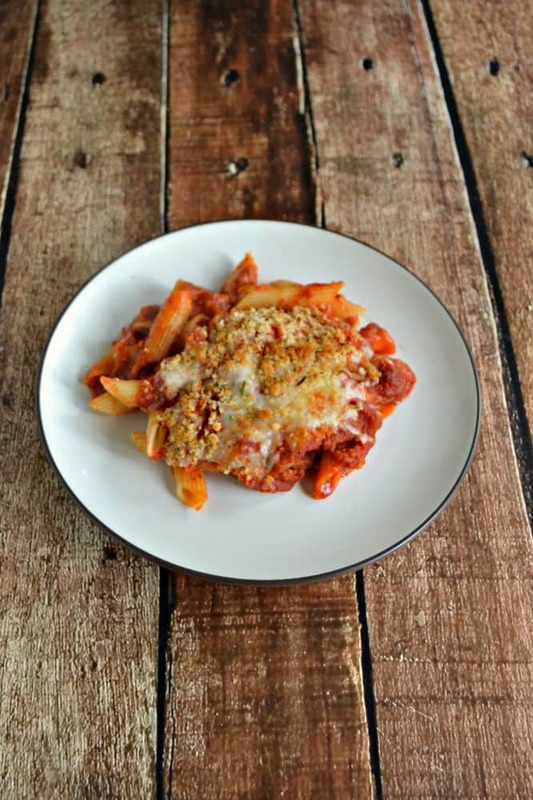 I shared an easy weeknight pasta recipe with you now I want to hear your favorite pasta recipe made with Ragu!